La Nuit du Rugby, a partnership awards event between La Ligue Nationale de Rugby and Land Rover France, took place at L’Olympia music hall in Paris, France this week. Translated to English as ‘the Night of Rugby’, the event welcomed players, coaches and staff from the teams in the TOP 14 and PRO D2 - the first and second divisions of French Rugby union - to award prizes such as Best Player and Best Coach. 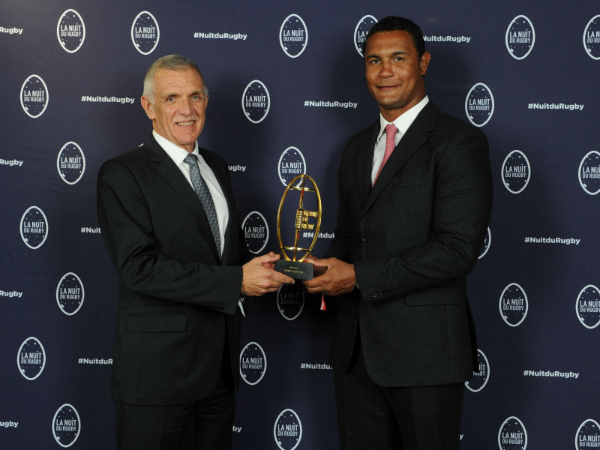 A new Fair Play award created by Land Rover was also on offer on the night and was given eventually to Thierry Dussotoir, a former captain of the national team and considered one of the best rugby players in France. Presenting the award is Marc Luini, General Director of JLR France NSC (left).